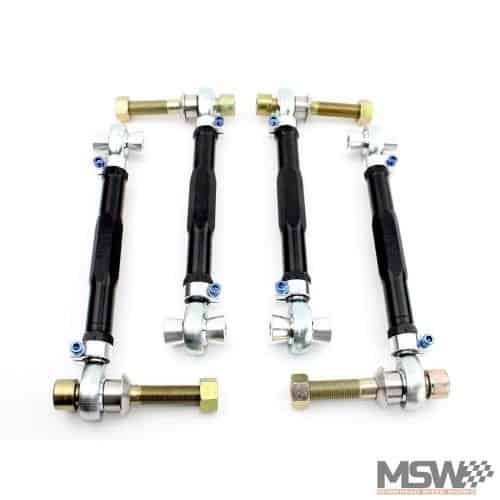 Morehead Speed Works is proud to offer SPL Parts line of high quality suspension components. From full racing to high performance street applications, SPL Parts suspension products provide adjustability and increased performance for custom alignment needs. The highest quality construction and innovative features are the reasons why our products are not only chosen by the top race teams, but also by consumers demanding the best alignment products for their high performance street cars. SPL Parts uses USA sourced materials with certification to ensure their products are built with the best materials. 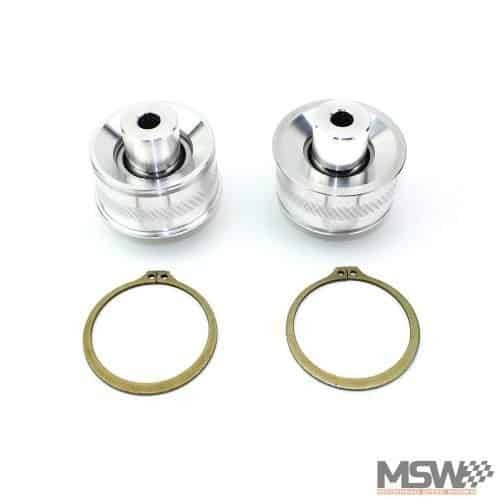 Their products are CNC machined by local shops with years of high tech machining experience. All parts are hand fitted to ensure good fit and smooth threading. 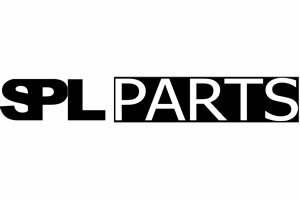 SPL Parts are made with pride in the USA by skilled workers, using quality materials and finishes, innovative designs and R&D. 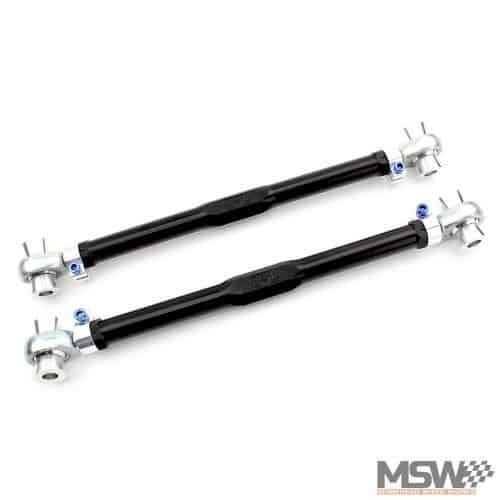 SPL Parts TITANIUM Series Rear Traction Links (RTR) eliminate the soft mushy rubber bushings on the stock links to reduce toe change in the rear suspension under hard acceleration/braking and when going over bumps. 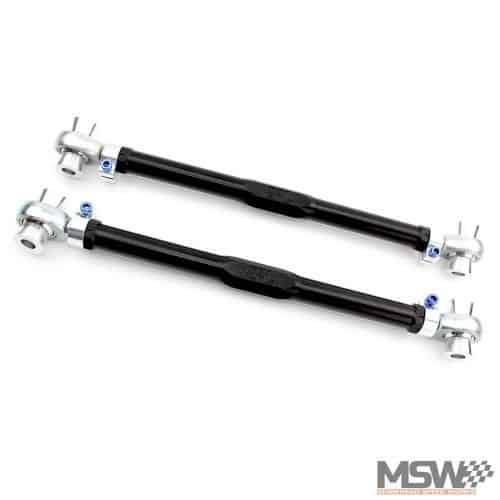 SPL Parts adjustable Rear Upper Arms (RUA) for F8X M chassis are an absolute necessity to maintain proper rear camber and reduce tire wear on the street and track. SPL Parts Rear Toe Arms (RTA) increase stability and response by eliminating bushing deflection while providing an increased range of rear toe adjustment, necessary for lowered cars or for performance alignments. 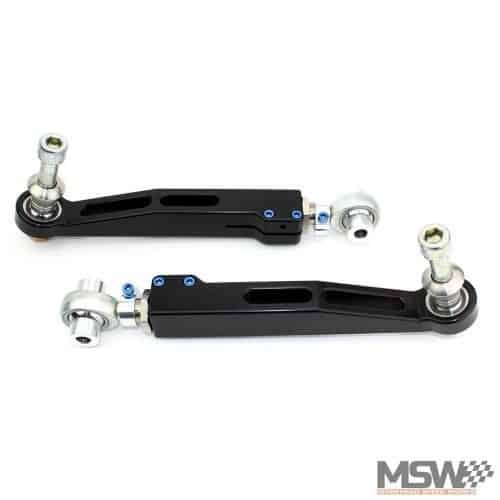 SPL Parts Front Lower Control Arms (FLCA) provide roll center, camber, and track width adjustment for the F8X M2, M3 and M4 BMWs, and allow for full articulation with the proper ball joint angle. SPL Parts FKS Series Non-Adjustable Front Caster Rod Bushings (CRBN) replace the stock flexible rubber bushings with low friction, articulating Spherical Bearings eliminating bushing deflection and reducing friction. This entry was posted in News & Announcements and tagged SPL Parts.